I had long known for a long time that the “eat-calories-on and exercise-calories-off” explanation of weight management was far from the whole picture. (You would only have to compare me and my brother to know that!) But it took me a while to piece together the fuller picture. Every body is wired a little differently and different approaches will aid different people. But just in case weight-management is an issue for you, and just in case any of these measures might assist you, here are the ten things that have worked for me: The underlying prinicple of all the guidelines below is this: do not deprive your body. Give your body what it needs and it will be healthier – and for a person carrying extra weight, healthier will mean slimmer! 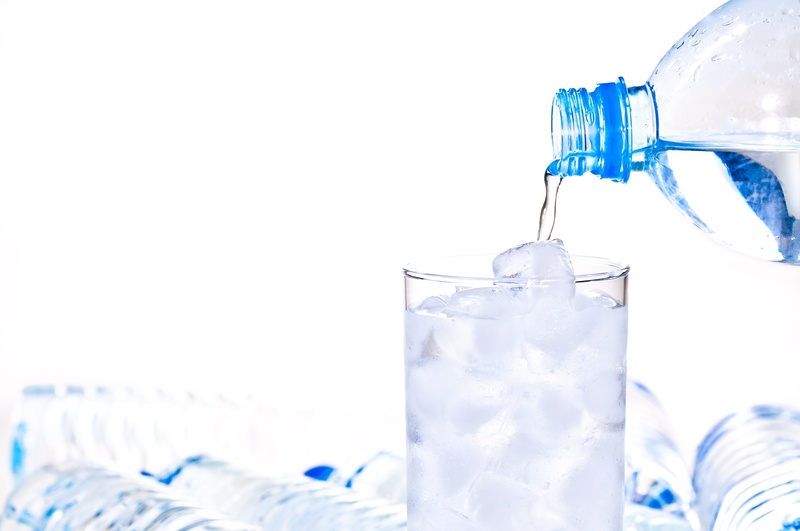 It was a light-bulb moment seven years ago when I learned (from CSIRO research in Australia and a book called “The Gabriel Method”) that what we often interpret as hunger is in fact thirst. Sometimes we mistakenly feed ourselves when what is needed is that we hydrate ourselves. For years I knew that I was not drinking enough pure water. The trouble was I just couldn’t drink it. In Canberra the smell of chlorine in the tapwater is shocking and when I lived in Camden Town even the neighbour’s dog recoiled from the smell of the tapwater there, and had to be fed bottled water. However with bottled water I found that I was simply unable to swallow much of it. I don’t know why. It may have been the pseudo-oestrogens generated by the plastic packaging or the traces of toxins such as arsenic used to lengthen shelf life. Whatever it was, something made those water products unpalatable no matter how hard I tried to drink them! Unfortunately when a body is dehydrated it will do everything it can to store fluid in the body. It does this in the fat cells. This is what was happening with me. In the end I persisted until I discovered a cask water that I am able to drink. Its trademark is “Pureau”. It is a cask water with no plastics, toxins or psuedo-oestrogens to confuse the body. Now I begin every day with a glass of water (with a hint of lemon juice) and I try to stay hydrated throughout the day. I end everyday with water too, drinking about a litre of water in the course of the evening, leading up to bedtime. This has been revolutionary for me! In my 20s I heard about the benefits of fish oil for weight-management and I asked my GP about it. He said, “You would need to take about 6 ‘daily doses’ a day to make a difference.” Bizarrely I let that piece of information put me off. But in 2009, and now in my 40s, my response was different. This time I said, “OK then, I’ll take 6 a day!” So I now take two Blackmores Omega Daily capsules with every meal, breakfast, lunch and dinner. I also added flaxseeds (or more recently LSA) to my daily regimen. Since making the change I have had chocolate cravings perhaps half a dozen times in the last seven years. Those were the days when I forgot to take my fish oil!! One of the simplest and healthiest ways of managing the kind of hormonal shift that is normal to mid-life is to moderate your intake of high starch foods and add some LSA to your regime. LSA is ground Linseeds (Flaxseeds) Sunflower Seeds and Almond meal. Every day I find a way of including some LSA in my diet. Often I will use my Nutri Bullet (the world’s best blender) to whir up a smoothie of frozen blueberries (also great for your prostate if you’re a bloke) water, fresh (not UHT) apple juice and three generous teaspoons of LSA. I also take a magnesium supplement for the same reason. I added this when I hit that mid-life zone and have found it very effective. Ruth and I love food and cooking and fresh natural ingredients were already part of our diet. Frozen fruits are in fact often healthier, riper and less processed than the “fresh” produce in the supermarkets so we use a lot of frozen fruit too. We have also benefited from lovely neighbours who have kept us supplied with green, leafy and vegetables. Now we are blessed with a bit more space we are working on our own veggie patch. Some days I include some frozen kale or spinach in my daily smoothie. There is really no alternative, and nothing better than a diet of clean, fresh unprocessed food! Today our foods are not produced as they once were.The lack of aroma is one significant clue. It is a sign that there’s a heap of goodness which ought to be in our food that often isn’t – due to today’s processes of production, harvesting, transportation and storage. That is why some supplements may be needed. Too little sleep is a disaster for your health on many fronts. Until I started using a simple visualistion to get me to sleep I didn’t realise how badly I had previously been sleeping until this technique transformed my getting to sleep. In the past my mind would be a whir of thinking each as I laid my head on my pillow. Now I visualise my favourite beach in the sunshine and breeze and myself beginning for a rapid sprint through the waves. I get myself into the moment and wihout fail, within seconds…I’m gone!! Something else that I am now more intentional about is getting out into nature and into the sun. For someone of my skin tone health professionals now recommend at least half an hour of sunlight a day. Sunlight activates our vitamin D and makes our bodies produce the Beto Endorphins which make a body feel happy, relaxed and less stressed. A lot of my health regime is about stopping doing things that distress the body and doing other things that make your body feel that this is neither a famine or an ice age! If you are chronically cold your body may resort to blubbering you up to keep you alive and well. I therefore am not embarrassed to wear a coat. And I now err on the warmer side of attire when sleeping. When your body is getting what it needs it will not try to store or divert food or fluid into fat cells. My experience has been that when I give my body all the things I have listed above I can relax about my food intake. In fact, along with all the changes above, I also added: a traditional cooked English breakfast almost every day, a little bit of cheese, chocolate and ice cream after dinner every day. The result? Less excess weight and my glucose and cholestrol returned to healthy levels after years on the upside! I fumbled for years until I found a pattern that has worked for my body. I find this pattern a very easy and enjoyable regime. It doesn’t make me hungry. Without putting weight on I can enjoy all the foods that I love without being a slave to any of them. I feel so much better for my regime of the last seven years and enjoy the benefits of being that bit lighter. To be fair, this regime does require a financial commitment – Omega Daily isn’t the cheapest. But I could not put a price on the change it has effected for me. And that is the reason I am sharing this personal news with you.